I don't know about you guys but when it's this hot outside we do not like to cook (especially since we do not have AC)! So we get into salad mode! Here are 3 yummy protein packed salad ideas to inspire you! Chicken Salad with Tahini Dressing. This one is definitely my kind of salad, dense with veggies, chick peas and chicken!! Baby Kale, Navy Beans and Roasted Chicken. I love kale, I could eat it everyday. And I love beans in my salad. This is a simple beautiful recipe I am looking forward to trying at home!! 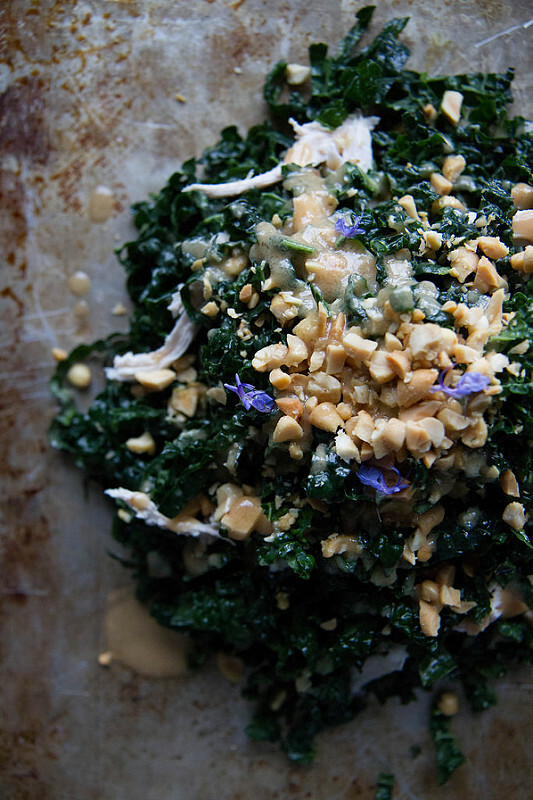 Kale and Chicken Salad with Peanut Vinaigrette. In addition to kale, I love peanuts....two birds one stone with this yummy looking salad!